Perhaps Anthony Weiner's greatest mistake wasn't Twitter. It was holding a Congressional seat in New York, not California. On Thursday morning, the news broke that Weiner and his now-famous private part won't be remaining in Congress. He's resigning under considerable pressure. That pressure included the threat by New York politicians to use the redistricting process in the state to force him out. Weiner's district in Queens would have been eliminated. So even if Weiner had stayed in Congress, he would have had no chance at keeping his seat in the next election. But in California, things might well have been different. That's because politicians here no longer control the redistricting process -- so they couldn't credibly threaten to eliminate Weiner's district. California voters gave that power to a non-partisan citizens commission, which isn't permitted to consider the prospects of a particular politician in deciding on districts. For all the possible virtues of such a commission (the commission has just proposed its first maps, and won't be done with its first redistricting until late summer), the Weiner case suggests one weakness: it limits the authority of politicians to punish wayward colleagues. 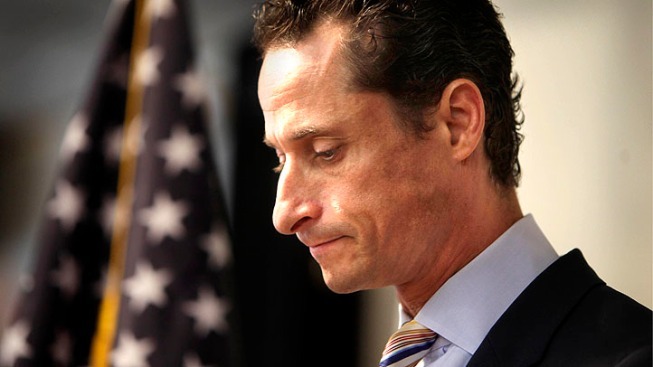 If Weiner had been a California Congressman, the voters themselves probably would have had to dispatch him.